If traveling in the areas around Tokyo, Kyoto, or Osaka, you may consider a day trip or several nights in the city of Nagoya Japan’s fourth most populous city. What fun and enriching surprises does Nagoya have to offer? During the Edo Period (1603 to 1867 C.E. ), Nagoya originated as a castle town known as Owari. Much of the historic architecture, however, was destroyed during the bombing raids of World War II. Today, it is a city of boundless technology, including the Toyota Motor Corporation headquarters just outside the city limits. Nagoya has something for everyone, from shopping to science to kid-friendly amusement parks. Employ this helpful travel guide in planning your next trip to Nagoya and the Chubu region. When traveling from Tokyo to Nagoya, the quickest option is to use the JR Tokaido Shinkansen, accessible using your JR Pass. You can start from Tokyo or Shinagawa Stations. Taking the Hikari train, you will reach Nagoya in less than two hours, and if taking the Kodama train, your trip will last about three hours. Likewise, you can make the return trip from Nagoya to Tokyo using these same train lines. 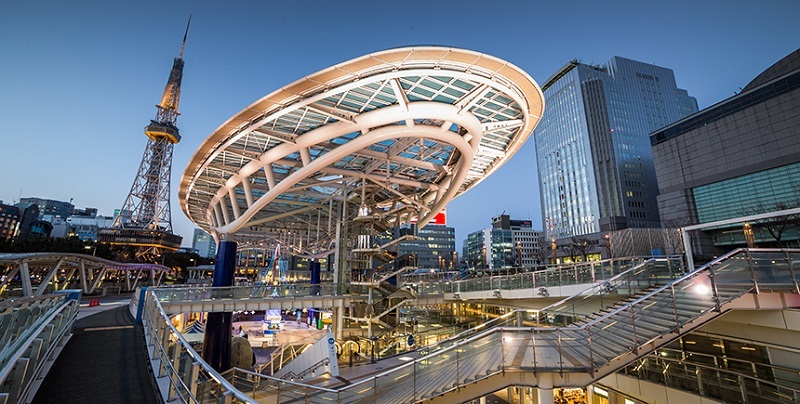 Begin your journey from Kyoto at Kyoto Station. Take the JR Tokaido Shinkansen lines eastbound (towards Tokyo) – using your JR Pass for passage on the Hikari or Kodama trains – to Nagoya Station. The trip lasts between 40 and 60 minutes. In Osaka, begin your journey at Shin-Osaka Station. Take the JR Tokaido Shinkansen Kodama or Hikari trains eastbound (towards Tokyo) to Nagoya Station. The trip will last between 55 and 70 minutes. Nagoya Station, sometimes called Meieki, is the world’s largest train station, encompassing over 400,000 square meters of floor space. It is also home of the headquarters of the Central Japan Railway Company (JR Central). In addition to train platforms, this twin-towered station includes a shopping center with many attractions and excellent places to eat. The private, non-JR lines available at Nagoya Station include the Aonami Line, Kintetsu Railways, Meitetsu Railways, and two subway lines. The subway lines include English signage and have been designed for easy navigation by foreign visitors, providing access to many attractions across the city. The Chubu International Airport can be reached by using the Meitetsu Railway line. The main service Airport Rapid Limited Express service is called “μ-SKY”. A one-way journey between Nagoya Station and the airport takes 30 minutes. Prices are 870 yen with a non-reserved seat and 1230 yen by reserved seat. Nagoya’s bus network can be confusing for tourists, but there is one bus line that is ideal for such purposes. The Meguru Loop Bus is available from Nagoya Station, and it provides transportation to many of the city’s must-see attractions. Fares for the Meguru Loop Bus are ¥210 per trip or ¥500 for an unlimited day pass. The buses do not run on Mondays. To what attractions will the Meguru Bus take you? 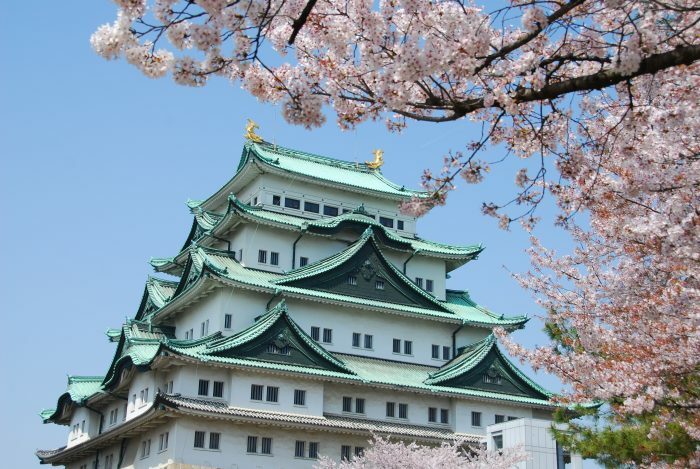 The route includes the Nagoya Castle, Noritake Garden, Toyota Techno Museum, Tokugawa Art Museum, and the downtown district known as Sakae, where you will find malls, department stores, and restaurants galore. The downtown area is also home to the Nagoya TV Tower landmark, the first of its kind in Japan, and the futuristic Oasis 21 shopping complex, complete with its Water Spaceship roof attraction and Milky Way Square event center. The Sunshine Sakae entertainment and shopping center houses a 52 meter Ferris wheel called the Sky Boat. Other attractions in Nagoya include the Legoland Japan theme park, the Central Japan Railway Museum, and one of the largest planetariums in the world. You may want to use your JR Pass to take additional side-trips while visiting Nagoya. For example, you can take the Takayama Line to Takayama, a mountain city in the Gifu Prefecture. The trip will last around two hours. Takayama is a beautiful and well preserved historic town, retaining many aspects of Japanese tradition. Shizuoka is another interesting stop located at the halfway point between Nagoya and Tokyo. The city is known for access to breathtaking views of Mount Fuji, as well as its sublime tea leaves. From Nagoya Station, Shizuoka is about a one hour ride on the Hikari train or one hour and 20 minutes on the Kodama train of the JR Tokaido Shinkansen Line. Whatever attractions you choose to visit while in Nagoya, you are sure to enjoy your travels there. Be sure to make ample use of your JR Pass to get the best value on your travels throughout Japan. Is it easy to get from Nagoya main station to the City of Toyota and the stadium there? Hi Chris! Closest stations to City of Toyota’s stadium are Toyota-Shi Station (Meitetsu-Mikawa Line) and Shin-Toyota Station (Aichikanjo Tetsudo Line). We recommend to check which one better fits your itinerary if you wish to attend the Rugby World Cup 2019. Happy travels! Does JR Rail Pass have any one day pass between nagoya to osaka? 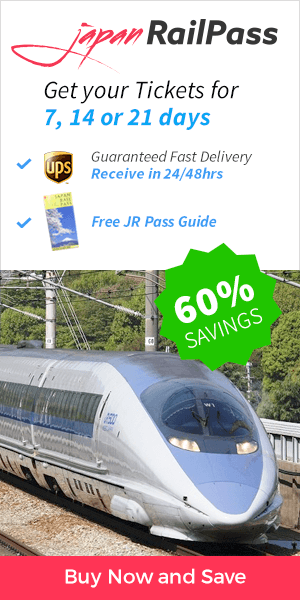 The Japan Rail Pass gives you unlimited access to all Japan Rail National trains, as well as JR bus services, ferry services, and airport transfers. If you want to make a single ride you might be interested in purchasing a single ticket, which can be done directly at Japanese stations. Thanks a lot For writing this article! It will help many to travel in Nagoya in Train! I am also thinking to take a visit once!